“We are all achievers of the UN 17 Sustainable Development Goals! 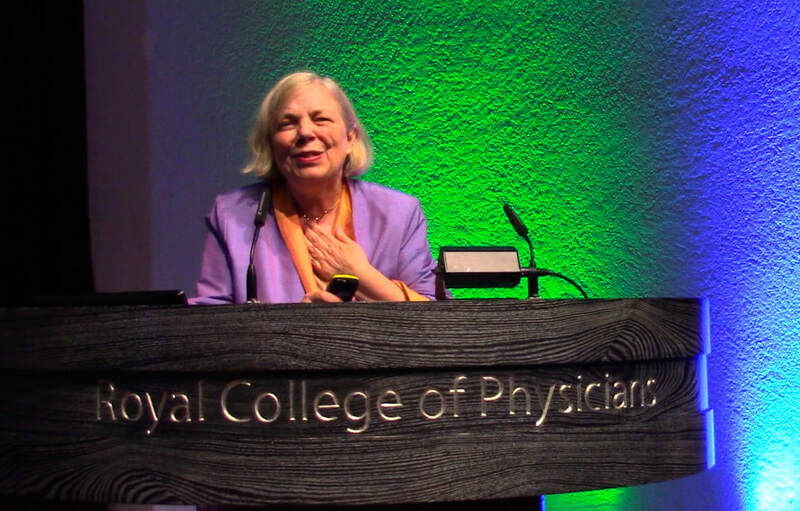 Attended by more than 200 nursing and midwifery leaders from 53 Commonwealth Nations worldwide, Dr. Beck's keynote highlighted the connections between Florence Nightingale's own leading-edge work and the issues now identified as the United Nations' 17 Sustainable Development Goals (SDGs). ​Further, nurses & midwives are actual achievers of the 17 SDGs, like Nightingale was in her time. But we must be the ones to share our stories of these achievements with the world. Other keynote speakers included Dr. Catherine Hannaway of the ‘Nursing Now’ Global Nursing Campaign, Dr. Franklin Shafer, President & CEO of the Commission on Graduates of Foreign Nursing Schools (CGFNS) and Dr. Lynn McDonald, of the ﻿Nightingale Society﻿ and Editor of The Collected Works of Florence Nightingale. ​The finals slides of this presentation — a commitment to the Nightingale Declaration for a Healthy World --was read aloud, together, by all attendees to the conference. This highlighted our collective ability to share our solutions to the problems we see — with everyone, everywhere. 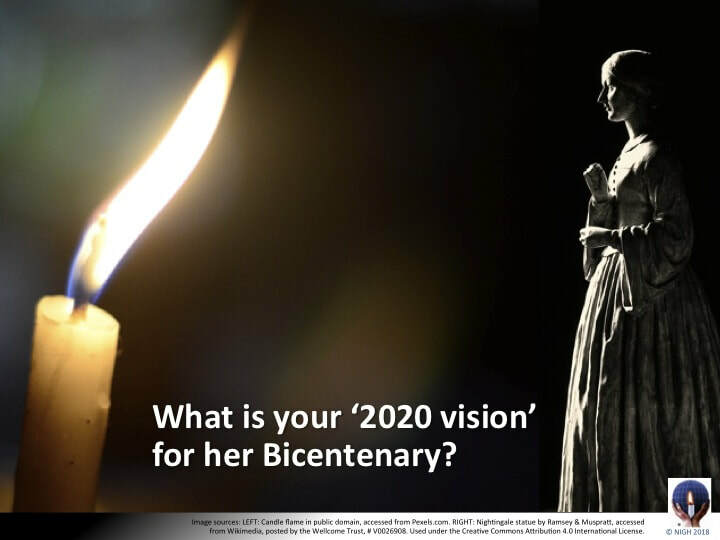 To obtain a copy of this Powerpoint for your use and to share with others — in preparation for celebrating Florence Nightingale's 2020 Bicentenary Year — please email us. ​Image Credits: UN SDGs Colour Wheel used with UN SDG Logo Guidelines with attribution to UN.org. TOP: Photographer Wayne Kines, from NIGH's archives. Sources for Images from Dr. Beck's Keynote Presentation listed below each slide, including from across the Commonwealth of Nations and featured from the K4 International Photoshare archives.